"It is cold. Oh my God, it is cold," is a common refrain since last week, by virtually everyone, who has the opportunity of wading through the last three days cold, to interact outside the home or office, in the cold areas of the United States. When asked, following their muttering of the statement, whether they have not been living in this part of the world for sometime, to be able to know that it is winter, some say it does not matter and that the weather is just too cold and burning and that they are helpless. They say that they are uncomfortable with the cold weather. Some often say that they are from a part of the world, where it never snows or cold and cannot understand, why they are burdening themselves with the discomfort of living in a cold region. Upon longer conversation, the reason for burdening self to live in the cold becomes manfiest - the need to make money. Anytime it snows, the road becomes muddy like, cars look like they been taken through the mud fight - really very, very dirty and ugly. The entire landscape's look will change from that of a city to a village, a reminder of how people move from the village to the city, in search of employment or livelihood. We move from the village to the town or a city in remote part of our countries and later move to the center of gravity called the commercial center. Another reminder that a country without a commercial center and a vibrant commercial life, may as well be deemed dead, like many villages in Africa and other places, abandoned by youths, who have trooped to the cities in search of livelihood, and leaving behind the the agricultural life in the villages, to faceless undertakers. People have asked why aren't agrucltural products so valuable like other products? They have said that if farm products are made valuable and priced like products sold in the cities, the proceeds from sales will keep farmers happy and never broke and be able to meet their needs. This will in turn be attractive to the youths and who will not run away from the rural areas to the cities. Many people are of the view that the process of migration from the village to the city and from the cities in poorer countries to the richer countries, seems like a natuarlized process bound to happen in the life cycle of those, who are either forntunate or unfortunate to be caught in the quagmire of overseas travel and living permanently abroad, far away from own countries. Some people call the escapade a curse of destiny. They say when a person is financially broke, he or she has to seek ways to get back into financially good situation. 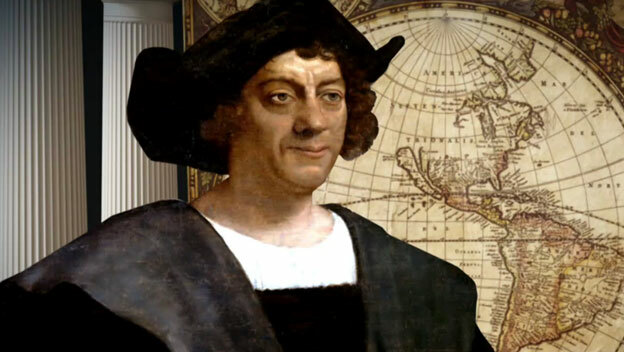 They say people invest in traveling to make more money and they will tell about how Christopher Columbus set sailing in search of a new world and new wealth, when there was a need to replenish the treasury of governments in Europe. The helplessness that that Spain found itself in those old days, which prompted the sponsorship of Columbus to the Americas, the danger of sailing in bad weather and coming to seek a way to find new source of income in a new world, where the rate of death was reportedly high among first arrivals, will prompt questions about how the natives dealt with or managed surviving the winter cold, when modern discovery of electricity and the use of heat to keep warm, were non-existent. The most important development following Columbus' discovery is the conquest of the high rate of human casaulty in the cold and the subsequent ability to wade thorugh and live in the cold with nimor death and health related issues. The result is the open gate to money and knowledge and the breakthrough it offer. But amid these developments, people are still asking about how to make the rural areas and their temperate countries financially habitable, to avoid the stinging cold here. We are helpless. The village and agricultural lives are dying. Economic life in the temperate countries is between life and death. We are doomed to live in the cold, because it pays the bills.When we don't like the cold, we have no choice, home having not much to offer.